I realise that this is not an issue with SU Podium, but I wondered if anyone might have come across this and knows how to deal with it? 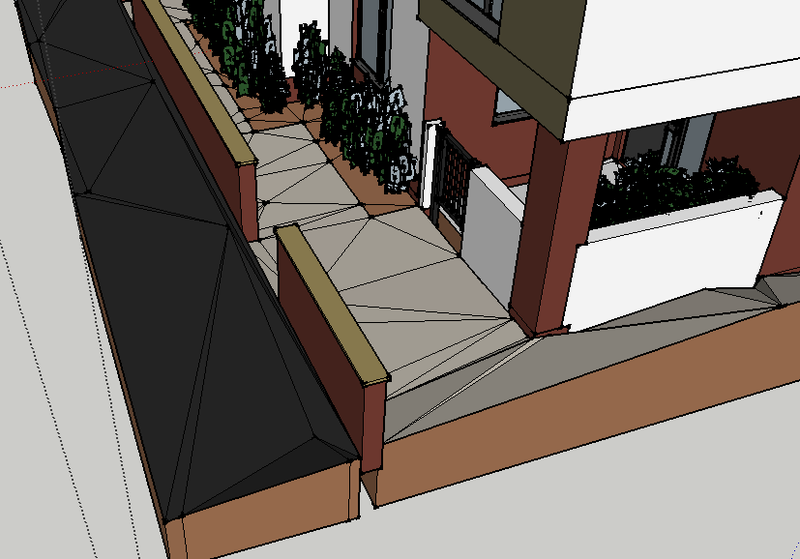 I have exported my model from Archicad to Sketchup in .3ds format. When importing to Sketchup on certain faces, I see lots of mesh lines (screenshot 1). I have checked the merge coplanar option in the import. I have also tried to smooth the edges and whilst this appears to remove the lines, when I apply a material, it has a different orientation for each section, which looks odd (screenshot 2). If I just try to delete the lines, it removes the whole section (screenshot 3). I'm hoping there is a way to make these split faces into one, otherwise I'm not going to be able to apply a texture that looks right. I would appreciate any advice. I have moved this message to the Lounge as it's not directly related to Podium. Also, I would suggest sketchucation as a good place to ask this kind of question. You should be able to simply delete them. Make sure you make groups though! You should be able to soften the edges, checking the 'Soften coplanar' box. This should effectively hide them. 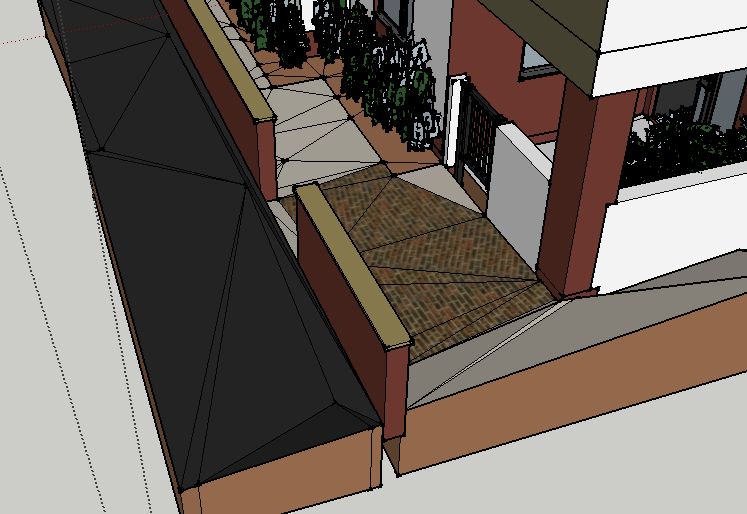 Just out of interest, Why are you doing importing into SU from ArchiCAD? It has its own ender engine and it is a very capable 3d modeller. It seems counter-intuitive to me. 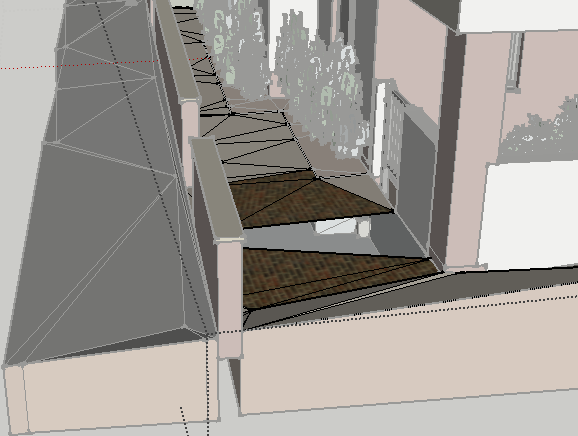 I have one suggestion about importing ArchiCAD to SketchUp. Use the IFC2SKP plug-in from Cadalog, Inc.
Save your ArchiCAD file as IFC file and then import it into SketchUp that way. That might help.